Networking has always been a powerful buzzword. Back in the early 2000s when I moved South to work as a journalist in London it meant boozy lunches with PRs and long nights on the town with their clients. But even then the Mad Men approach to meeting colleagues and contacts was in its dying day – ‘you just missed out on the good times’ some of the old hands would tell me with a smile. A lot of water has gone under the bridge since then and if your job is anything like mine the opportunities to meet, talk and think with like-minded people, are few and far between. Between the day job, the search for more efficiencies, coping with shrinking resources, more responsibilities and a full home life the chance to do any sort of networking has slowly fallen between the cracks. One positive side-effect is that so much of this discussion and contact has now moved online. Social media is fantastic at bringing people together, sharing ideas and engaging with each other and some of you may have seen me blogging here before about the work Northumberland County Council has done to harness the power of these tools. I’m an enthusiastic user of social media for work and in my personal life and there’s no doubt they’ve helped me massively on both counts. In fact, so much of my interaction is now virtual that I probably have more friends and colleagues (I know, I know) that I’ve never met in real life, then those I have. That’s why I think it’s important to occasionally cleanse the pallet and get together with some real people, face to face in your know, like the same room. Pretty radical eh? Last week I spent a morning meeting people who are all really passionate about PR, communications and marketing and talking about the challenges facing the industry, stuff happening around the North East and sharing our varied experiences. I’m a bit of a newbie to the CIPR and was reluctantly drafted onto the North East regional committee last year after giving a presentation at one of their events. I was initially a bit nervous as it’s not really my sort of thing but I’ve been so impressed with the work they do and the value you get from this real world network of people. We spend our meetings talking about the challenges facing us all, training and development, the state of the region, legal issues, working with the next generation and ideas for showcasing the profession. It lets you take a step back from the day to day details and get involved in planning events, giving awards for the best practice and organising conferences that showcase the good work in the area. More than anything though it’s good fun. You get to learn stuff and chat to people you admire, respect and like. 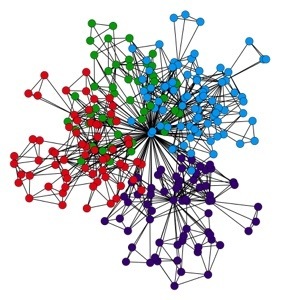 The power of networks (and networks of networks online) has never been more important, but for me there’s still a place for what we anachronistically call a ‘committee’ that meets face to face and I’m glad about it. The only thing missing are the cocktails.